Between shopping and wrapping, cooking and baking, juggling time and visiting relatives, everyone needs a break. What better way to spend it than having some quiet creative time with the family making Christmas crafts? Whether you use them as decorations at home or give them as gifts, there are few tangible holiday symbols more appreciated than handmade Christmas crafts. They can be treasured for years to come. All of ours can be put together in very little time, but they’ll deliver a big smile when finished. A sweet idea for a wreath that’s so new, it’s cutting edge. 1. In a well-ventilated area, spray cookie cutters to evenly coat with paint; let dry. 2. 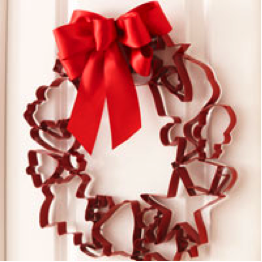 Using thin string or wire, join cookie cutters together in a circle to form wreath. 3. Tie bow at top. Always supervise and assist young children when they are working with scissors or small pieces of craft materials. A colorful countdown to the holidays that’s a snap to make. 1. Punch holes in the corners of envelopes. 2. 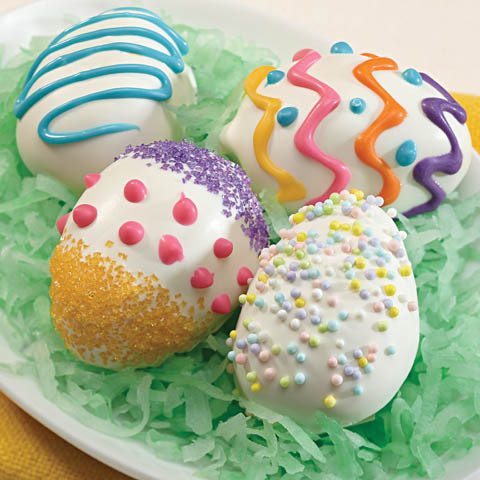 Fill envelopes with mini ornaments, toys or treats. 3. Seal envelopes with stick-on numbers. 4. Attach string to each envelope. 5. 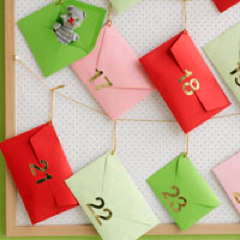 Hang envelopes on string on a bulletin board or wall. These ornaments are so easy to make, it’s as if the tree trimmed itself. 1. 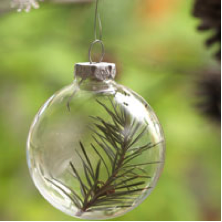 Place a small piece of greenery in each glass ornament and hang. 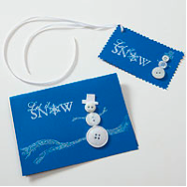 Cards and gift tags get the frosty treatment with buttons and glitter. 1. Using scissors or paper cutter, cut cards or gift tags from blue cardstock. Stamp holiday sayings on cards or gift tags. 2. For snowman’s hat, cut hat from white cardstock; glue to card or gift tag. Embellish with glue, glitter and glitter pens for snow. 3. Glue buttons on snowmen’s bodies. Add glitter. 4. Punch holes in corners of gift tags and attach string. Remember the construction paper loop garland you made as a kid? Time has not treated it well: The paper fades and glue dries as the years pass by. 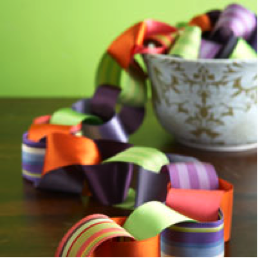 That won’t be the case with this loop garland made from ribbon. In addition to being supremely elegant, it can stand the test of time and be passed down to future generations of tree trimmers. 1. Create loops with your fasteners of choice.